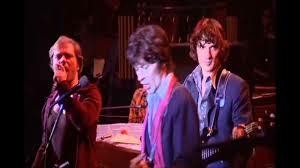 Love The Band Rick, and the Last Waltz is amazing. You’re right, Stage Fright is one of the best performances on there! Nice writing! 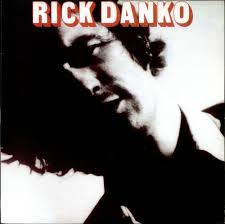 I’m a big, big fan of Danko’s contributions to the Band, but never really heard any of his solo work. Or any Band’s member, for that matter. The thing is, I love their work as a group so much, I think they had a better chemistry than any other band really, they were always bringing the best out of each other, with every single member getting multiple moments of spotlight on each album. Because of that, I find it very hard to even approach their solo careers. I would probably end up liking some of the stuff, but I’m afraid that most of it will only remind me how great they were TOGETHER, and I would always expect 2 other voices joining in for off-beat harmonies or a boggling organ solo and so on. But someday I will give the solo albums a fair listen, I think. About the Last Waltz, the performance of ‘It Makes No Difference’ does it for me totally – hands down, the best Danko vocal performance I’ve ever heard. Thanks. It would be to imagine the guys of the Band being anything but less than the sum of their parts, though the Rick Danko solo LP was a pleasant surprise. Thanks for the link to “It Makes no Difference” another all-time highlight from Rick.